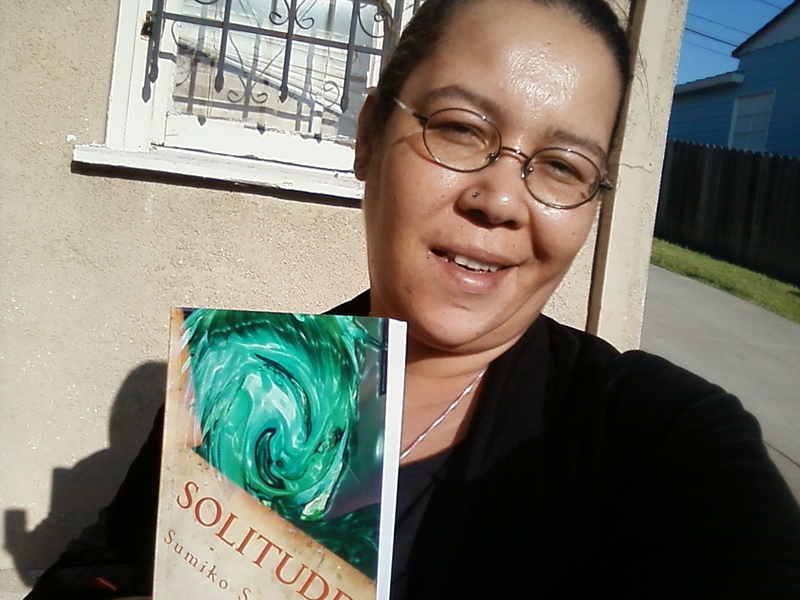 Author Sumiko Saulson with a paperback of Solitude – now available in hardback! I wanted to announce the availability of “Warmth”, “The Moon Cried Blood”, and “Solitude” in hard cover editions, exclusively on Lulu.com. I started out with Lulu, one of the premiere self-publishing houses for independent and small press authors such as myself. As you probably know, I recently issued Nook/iPad compatible versions of my three novels, in conjunction with the ending of their involvement in the exclusive KDP program for Kindle. They are still available on Kindle for purchase, just not as part of the library (for check out). Oh guess what? If you want to save money on the new Hard Cover editions, here’s a coupon good until July 13th! Get caught up in reading one of my books today! ~ by Sumiko Saulson on July 9, 2012.